Firgun is a Modern Hebrew slang word, borrowed from the Yiddish farginen, which in turn comes from the German vergönnen or gönnen- originally meaning "to grant, allow", which may have a cognate in the English word "own". 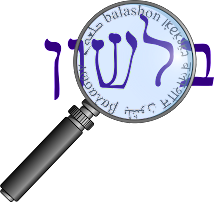 The concept can be found in Talmudic Hebrew as ayin tova / yafa עין טובה/ יפה - "a good eye", or in the opposite - ayin tzara / ra'ah עין צרה / רעה - "a narrow eye". But Nesher ("Hebrew in Jeans") says those phrases are considered today "flowery language" and not commonly used. Avineri in Yad Halashon (p. 531) and Almagor-Ramon in Rega Shel Ivrit (213) suggest substituting the Hebrew root רתה for the verb and ריתוי ritui for the noun, but I've never heard them used.